The latest UK House Price Index has shown that, in the year to January 2019, average house prices in the UK increased by 1.7% - down from 2.2% in the previous month and the lowest annual rate since June 2013. ONS found that over the past two and a half years, there has been a slowdown in UK house price growth, driven mainly by falling prices in the south and east of England. The lowest annual growth was in London, where prices fell by 1.6% over the year to January 2019, down from a decrease of 0.7% in December 2018 followed by the East of England where prices fell 0.2% over the year. The average UK house price was £228,000 in January 2019. This is £4,000 higher than the same period a year ago (January 2018). On a non-seasonally adjusted basis, average house prices in the UK decreased by 0.8% between December 2018 and January 2019, compared with a decrease of 0.3% in average prices during the same period a year earlier. As ever, the property indusrty was keen to react. Here's what they're saying. Jeremy Leaf, north London estate agent and a former RICS residential chairman, says: "After last month’s encouraging figures, this month’s UK HPI is much gloomier, showing once again it is dangerous to read too much into one set of numbers. However, we are finding that mood reflected on the ground - a patchy market at best in some areas whereas in other, sometimes even those adjoining, there is more optimism. This is borne out perhaps more in the numerous micro markets of London where local factors are often much more relevant than the national picture. Today’s inflation figures certainly won’t help affordability calculations for those who are struggling to get onto the ladder, despite recent growth in first-time buyer numbers. Sadly, while political uncertainty remains, stronger demand is likely to remain pent-up at least for a little while longer." Marc von Grundherr, Director of London estate agent, Benham and Reeves, commented: “Much like Brexit itself, it seems to be one step forward, two steps back where the UK property market is concerned at the moment, and market uncertainty continues to see the rate of price growth decline to its lowest in almost six years. London continues to suffer most from this slowdown as the higher price of property is resulting in more drastic adjustments than elsewhere across the UK. However, this adjustment in prices is seeing a returning air of confidence from an investment standpoint and we’ve seen a consistent level of interest from the foreign market investors so far this year. Andy Soloman, Yomdel CEO, commented: “Our political escapades in the European theatre continue to take its toll on the bricks and mortar backbone running through our nation. However, given the continued political uncertainty surrounding Brexit and the addition of the seasonality involved, a drop in the rate of house price growth will come as little shock regardless of how notable. The silver lining is that the barrier to homeownership continues to grow at a muted level for the nation’s aspirational home buyers and we’re still seeing very strong growth across the regional engine rooms of the Midlands and Yorkshire and the North West. Mark Harris, chief executive of mortgage broker SPF Private Clients, says: "As always, national average house prices conceal significant regional differences. London continues to see the largest annual price fall as those worried about the Brexit fallout err on the side of caution. That said, the year has got off to a remarkably good start on the lending front despite ongoing political uncertainty. Clearly, some people have had enough with situations they can’t control and are getting on with their lives. Lenders are keen to lend and rates are extremely competitive. Several lenders have trimmed rates this year in an effort to encourage more business, while innovative tweaks here and there are increasing as an alternative to offering the cheapest rate in the market." John Goodall, CEO and co-founder of buy-to-let specialist Landbay, said: “House price growth is off to a very slow start for the year, echoing December’s stagnant figures and reaching the lowest annual rate since June 2013. However, problems with affordability and supply remain. At a regional level, price rises in London continue to lag behind the likes of the East Midlands and East Anglia, a sign that demand in the capital is cooling as many buyers migrate away in search of something more affordable. Kevin Roberts, director, Legal & General Mortgage Club, comments: “Today’s figures tell a similar story to that of the last 12 months as house price rises continue at a more subdued level. 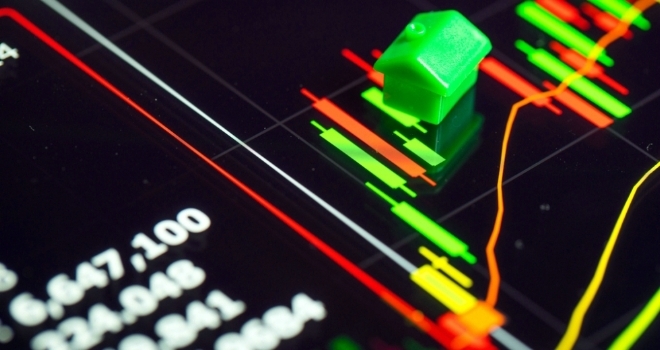 As far as the mortgage market is concerned, however, it’s not doom and gloom at all. The current low-interest climate coupled with increased lender innovation means we’re seeing more and more buyers take their first steps, with the number of first-time buyers hitting a 12-year high last year.